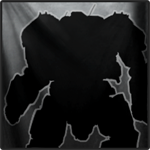 MWO: Forums - Proof Reading! Wow,I cannot believe I am posting this and I am sure that no one really cares. But there is a glaring bold typo in the banner relating to your new game mechs. ...looks around.....yep nobody cares. It's the internet and we know what they mean. I like preminrum time. Edited by Kibble, 25 June 2013 - 01:39 PM.